I love helping buyers and sellers achieve their real estate dreams! Sometimes the dreams are fairly easy to achieve, and other times a tough challenge! And sometimes when working with clients, we get a bit of both! In one case, the selling of their home was relatively easy. Not too long on the market, a good price achieved and a smooth path to closing! Everyone was happy, including the agents! But the buying part? That was a bit interesting thanks to the For Sale By Owner (FSBO) sellers. Some FSBOs are great to work with. They understand the process, the responsibilities of the two sides and things progress well. And other times...the sellers don't know the contract, don't understand what they're agreeing to and get irate when they're held to the agreement. Fortunately as an agent I can keep the "irate" part directed at me and not my clients! In this particular case, the sellers LOVED my clients and their young children and my job was to keep it that way! And despite some obstacles, we stayed on track and I took the discretion route and wasn't physically at the closing (but out in the parking lot in my car and texting my buyers). No need to "poke the bear" in this case and risk a very happy event having an opportunity to go sideways. Since that day I've enjoyed watching their family grow and watch them make their mini-farm their own! They've made some fantastic improvements! 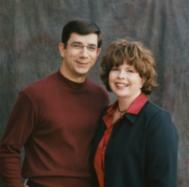 "Bill has been a great real estate partner over the last several years. He's patiently helped us find property and homes and even helped us navigate a "for sale by owner" purchase. I'm certain our ability to make it to close was due to Bill's experience and style. Additionally, he sold our previous home in a very short time period. Overall great person and great real estate agent and I'm positive we will work together again in the future." Scott N.
If Scott's description matches the kind of agent you want working for you, please give me a call at 513-520-5305 or email Liz@LizSpear.com. Whether patio home, condo or regular home (or even a mini-farm), we're here to help home buyers and sellers in the Greater Cincinnati area. Is It Time To Put My Cincinnati Home On The Market? Who Does The Ohio Real Estate Agent Work For? Is Your Today Home Ready For Your Tomorrow?